Why is Search Engine Optimization Important When Creating a Website? When was the last time you checked Google to see where your company website ranks in its results? If you’re not featured on the first page, then you’re missing out on prime real estate that, we admit, can be tough to get a hold of. 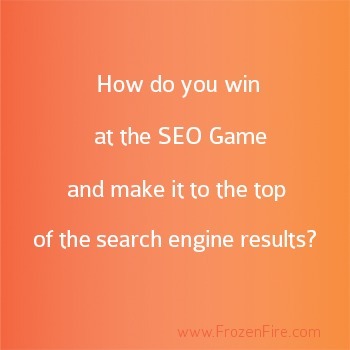 It might be time to reconsider your search engine optimization efforts. 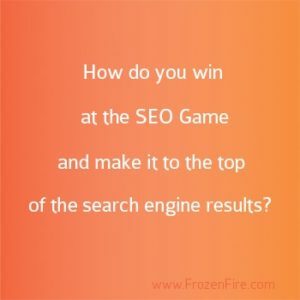 The first page of any Google search result is as far as most people look when clicking through to find answers to their searches, so how do you win at the SEO game and make it to the top of the search results? There are two ways to go about it: pay-per-click and organic search engine optimization. Do People Prefer Paid Ads or Organic Search Results? Recent studies show that pay-per-click programs have been found to only attract six percent of search engine users, leaving an overwhelming 94 percent of users clicking on organic search engine results. For this reason, pay-per-click can still be a useful tool, but it should not be the main focus of your SEO strategy. Google is crawling the Internet for websites that provide the best answers to what people are searching for. Your goal through organic SEO is to provide content that people are looking for but at the same time provide content that will make it easier for search engines to find. You can have the best “people content,” but if your website is not SEO friendly, search engines will have challenges finding it; therefore, the people using search engines won’t find your content either. While there are several factors that go into SEO, for now we will be looking at improving strategies through two main standpoints to get you started. How Do You Build a SEO Friendly Website? Page Title: Make sure that you have your focus keywords present in your page titles. It’s important to establish what the business objectives are and then decide which keywords best fit these objectives. Once you’ve decided on the keywords that will best target your audience based on the business objective, you can begin to insert these keywords into page titles. URL: Make sure that your page URLs are properly named. It’s a good rule of thumb to use keywords in the page URLs to increase search engine visibility. It’s much easier for search engines to find your content when the URL tells it what a certain page is about. Navigation: This means creating a structure that search engines can follow easily. One major cause of search engines not being able to find a website is due to the links being images instead of text-based. Search engines cannot read image-based navigation so make sure that of your links and buttons are text-based. Headings: Search engines look at 4 levels of headings. Make sure that your headings are text-based and also make sure that you are including the appropriate keywords in the heading tags. Flash: Search engines see this as a blank area, and therefore they cannot crawl it. Most mobile devices including tablets and iPads also cannot read flash. With the increasing number of mobile users, it is important to make sure that your website can be read on every device. Eliminating flash from your site is a priority. Website Images: Images are often overlooked when it comes to SEO, but they play an important role in the process of building a search engine optimization friendly website. Images should be optimized to achieve quick loading times and subsequent search engine visibility. Their file sizes should be kept as small as possible, anywhere from 30 to 100kb. Place your images in context within the page, the more relevant the text around your image, the better the results you’ll get for rankings. Make sure that you rename all of your images with the keywords that you are using on your page titles this way they will come up in the images results when those keywords are searched. One of the most important things to consider when building your website is the code style that you are using along with the other top tips above. Websites using older code styles are seen by search engines as not properly maintained and will not rank above more modern sites. If you have an older technology powering your site, chances are that even if you implement the tools above you will still have issues drawing traffic to the site due to limitations of the older coding and lack of responsiveness. Learn more about the do’s and don’ts when building a website here. Now that you have a website that has been built properly you must make sure that you are updating your website often – and by often we mean no less than once a week! Every SEO campaign needs an aggressive content marketing strategy and this strategy will ensure that you are keeping your website active through continuous updates. How Does Content Marketing Affect Search Engine Optimization? Content marketing is the creation and online distribution of educational, informative content delivered as a means of converting online information seekers into customers, or current customers into repeat buyers. Content is text, images, and video. In order to engage the search engines that lead people to your information content marketing should be written to address the following needs: engage consumers with informative, relevant information and industry news, and engage search engines with strategically placed keywords within content that is relevant to highly searched phrases such as, “what is search engine optimization” or “how do I build a SEO friendly website.” Your focused keywords should be placed in your content every 40 words but no more than that or you run the risk of being blacklisted by Google. You must also make sure that your keywords are being strategically placed in spaces where it makes sense. This is crucial because search engines have been built to be sensitive to people trying to trick them. If you load your content with keywords in order to attract the attention of the search engines and get caught, then you may be in some trouble with Google. There are much safer ways to boost your search engine ranking. One of the most popular vehicles for delivering content on a website to boost search engine optimization is a blog. If your blog is built properly it will increase the size of your site by one page each time you add a new blog entry and it will also increase your word count by at least 350 words for each new entry. It’s important to remember to use titles and headings that will match highly searched phrases such as, “How do I …” or “What is …” This also applies to your images: when adding pictures to your blog make sure that they are re-named and tagged with appropriate keywords related to the blog entry topic so that the search engines will be able to pull them up properly. You can also bold keywords or phrases. This helps because search engines give preferential treatment to words that are bolded. Content should be written from the perspective of “pull” marketing, which is a form of marketing that provides information that consumers are already seeking. This form of content writing will help you instill trust, credibility, and authority for the business that provides value. In any industry, building a successful website that will attract the attention of search engines as well as provide engaging information for consumers is difficult and it’s definitely not a do-it-yourself job. To get the best results it is extremely important to consult a professional who already knows the do’s and don’ts of creating a website as well as creating and implementing search engine optimization and content marketing strategies within a new website. Lucky for you, you don’t have to go searching for that professional because you are just one click away from connecting with an expert from the Frozen Fire team. We can help you create a search engine optimization and content marketing strategy unique to you and your consumers for the best results and we can implement these strategies into any of your digital media efforts including your new website. Contact Frozen Fire today to get started building or rebuilding your website.